*Disclaimer: I was provided with Stonyfield products as compensation for writing this post as a Stonyfiled #YoGetter blogger. All opinions expressed here are my own. 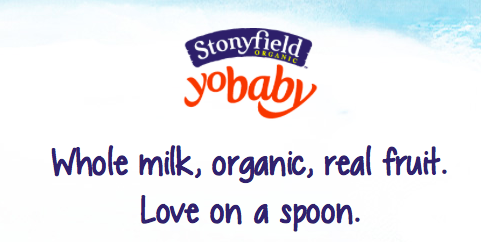 My children are growing up before my eyes and so is Stonyfield YoBaby! 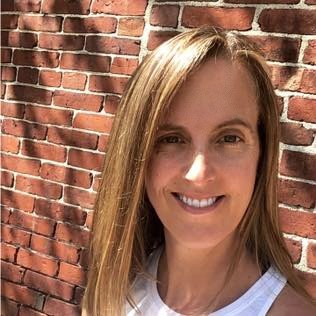 Stonyfield YoBaby is turning 16 this year which makes me pause and to take a look back at my kids first experiences with real foods. Stonyfield was always in our refrigerator before we had kids but once we had two additions to our family (now ages 6 and 4) Stonyfield Farms yogurts became a staple in our refrigerator. YoBaby. Love on a spoon. When you have a baby every day is a new adventure for you and your baby. You learn and grow together and as a parent getting to experience every first with your child can be magical and sometimes in the case of eating and first foods can be a bit funny too. When your baby discovers something that they love they will eat it with great gusto and not a care in the world about whether the food goes into their mouth onto the high chair or all over their hair. 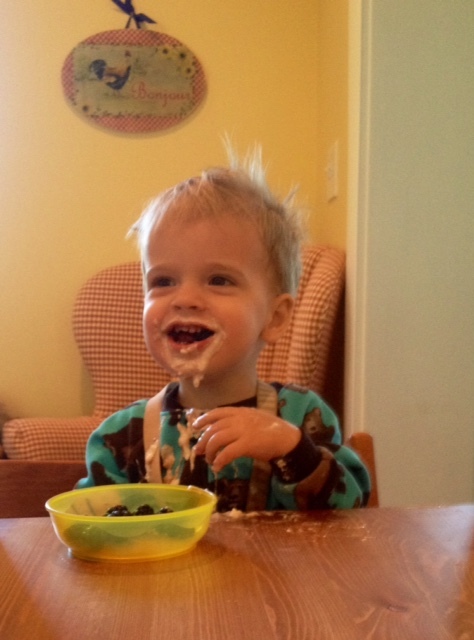 Stonyfield YoBaby Organic Yogurt was the first dairy product we fed to both of our children and it was an immediate hit. Our daughter Piper would eat it until the bowl was clean and would sign for more using baby signs with her sweet little hands. When our son Brock arrived Piper was two and wanted in on the feeding process. 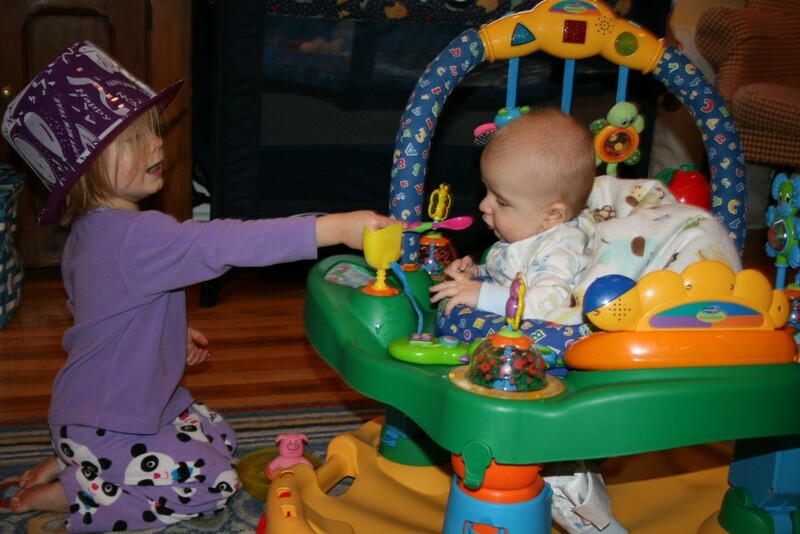 Of course we obliged giving her the spoon to feed her little baby brother Brock. It was the cutest and messiest moment and one which we will always remember. She was two at the time and delighted in spoon feeding yogurt to her brother. Piper still laughs when she thinks about a time when Brock ate yogurt with his hands which ended up in his hair and face with cheerios stuck all over. Since that YoBaby moment there was no turning back from the Stonyfield yogurt obsession (including Smoothies, Blends, Squeezers, Petite Creme, and Organic Yogurt Pouches) in our house. Even though the messy moments continue we are so happy that we can give our children a wholesome organic yogurt from family farms to fill their tummies to give them energy for their day. 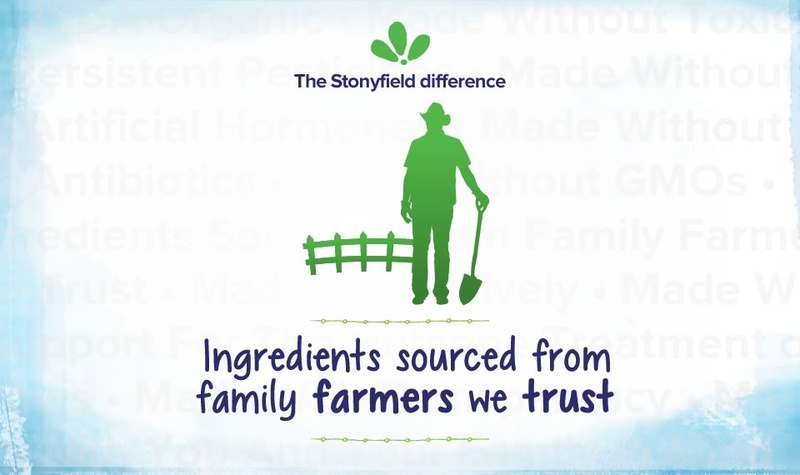 We love the Stonyfield difference because Stonyfield Farms chooses to make yogurt without pesticides or hormones, and it is non-gmo. 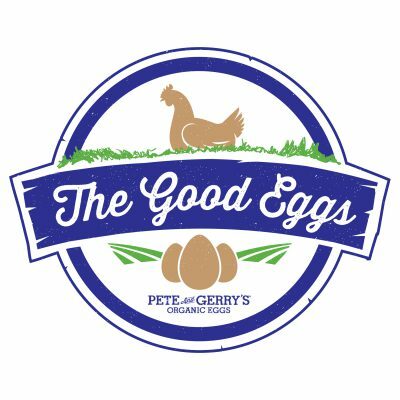 When it comes to choosing food for our kids we want to choose organic whenever possible. 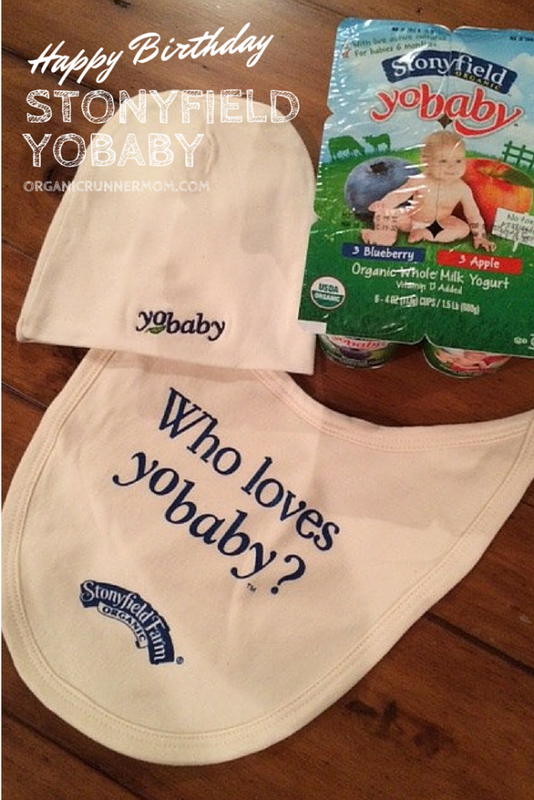 Now you can celebrate with Stonyfield YoBaby by entering to win an awesome Stonyfield prize pack for your little YoBaby. 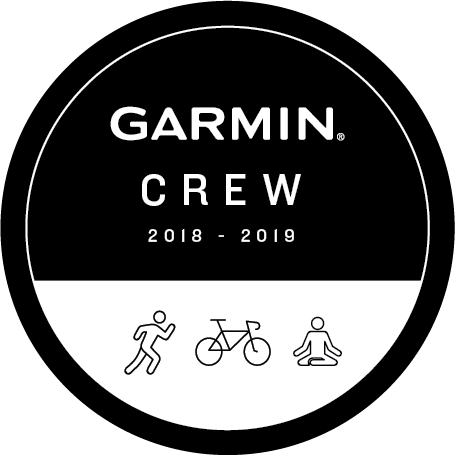 16 years!!! My babes first taste of yogurt was Yo Baby and they continue to love all the Stonyfield flavors. william loves the apple and blueberry! The strawberry is delicious! I’ll admit to having nabbed a couple of spoons myself. Our kids first exposure to Stonyfield was through the drinkables. The family favorite is the banana.